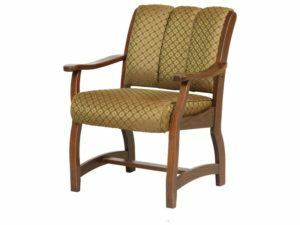 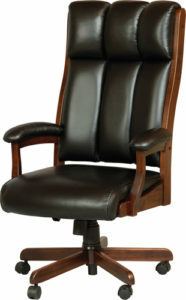 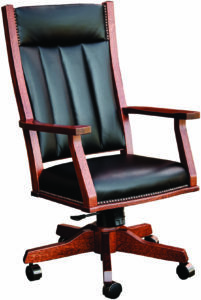 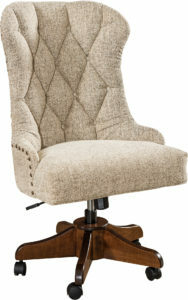 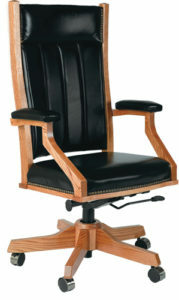 Desk Chair Furniture from Weaver is key to you enjoying maximum productivity and comfort behind your desk. 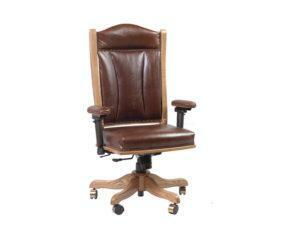 So what makes our desk chairs different? 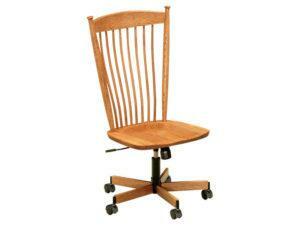 Skilled Amish artisans expertly-craft each chair from solid hardwood. 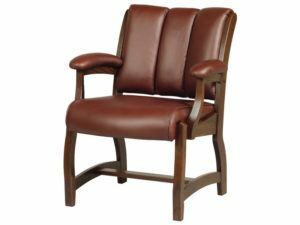 Also, they painstakingly finish each chair, creating an impressive lineup of all wood desk chairs, leather desk chairs and upholstered desk chairs. 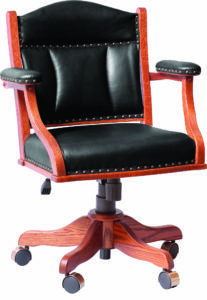 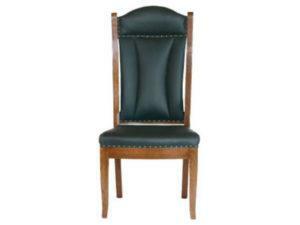 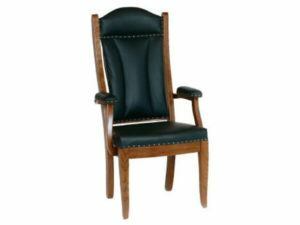 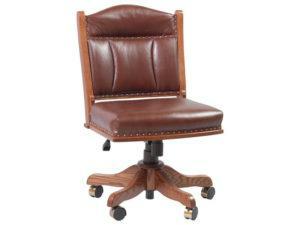 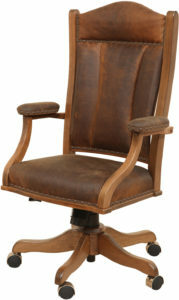 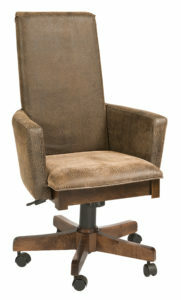 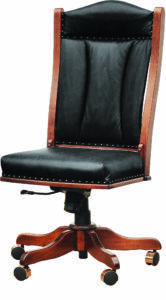 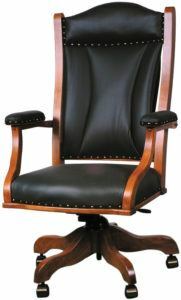 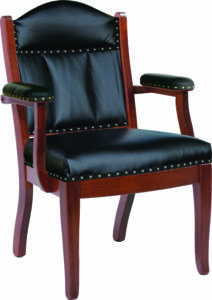 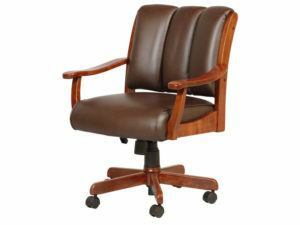 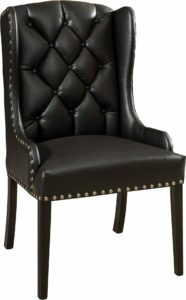 So browse our online leather and wood desk chair collection. 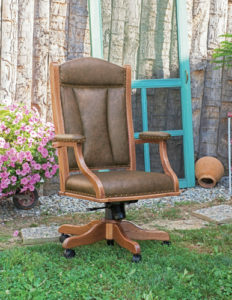 Or visit or ‘brick and mortar’ store in picturesque Shipshewana, Indiana. 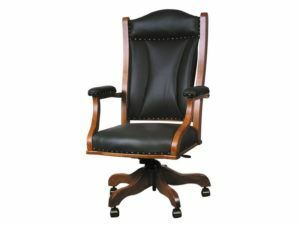 And choose the desk chair that’s the perfect fit for your office. 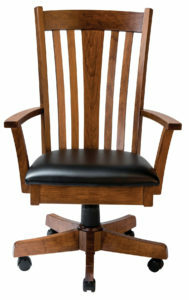 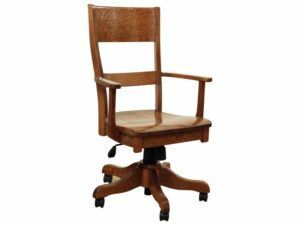 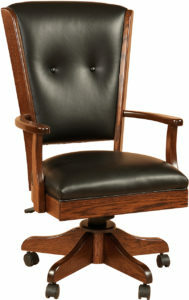 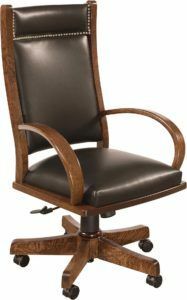 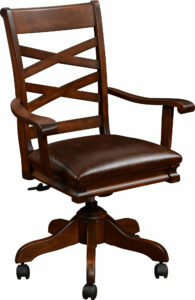 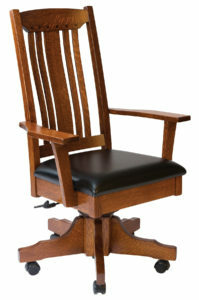 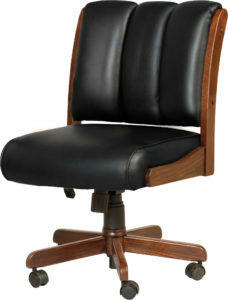 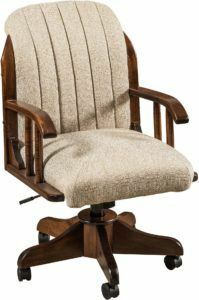 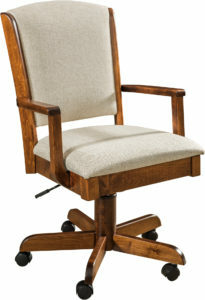 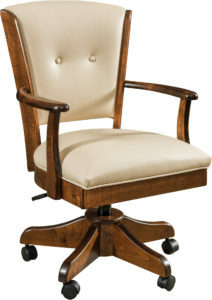 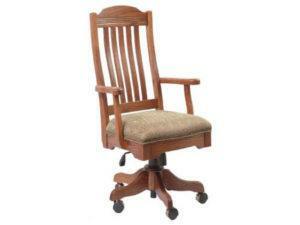 No matter what your taste in desk chairs might be, Weaver Furniture Sales has a wood desk chair to meet it. 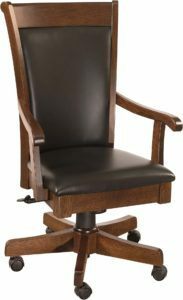 From traditional all-wood desk chairs to plush, executive leather desk chairs, we have the chair you’d love to spend your time in. 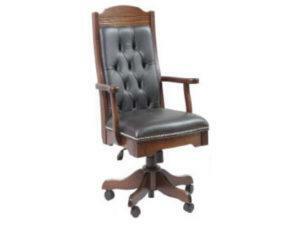 What’s more, you can order a chair as shown. 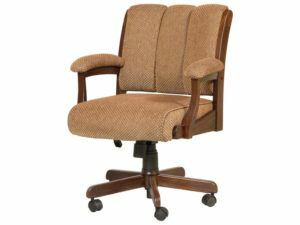 Or, we can customize it to your specs. 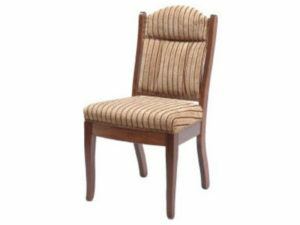 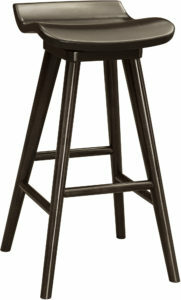 So just tell us details like your choice of wood specie, stain, upholstery and engraving choices. 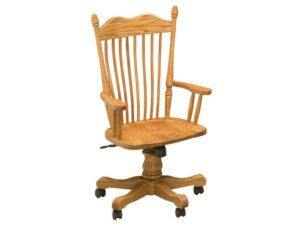 And we’ll build you an Amish desk chair — just the way you want it.